Bertha Simon is General Manager Finance since May 2015. 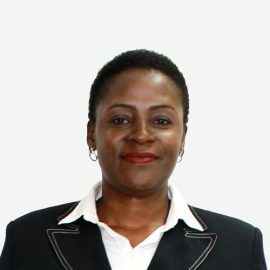 She has worked with Akiba Commercial Bank for 14 years since July 2004. CPA Bertha has attended different training, both local and international in the area of Finance, Accounting, Management skills and Leadership skills. 14 years of experience in Banking Industry has made her an expert in different account packages and modules and thus sharpening her analytical, budgeting and forecasting skills.